Toyota has taken the opportunity to introduce a number of equipment and specification enhancements within the product line-up for 2017. Drawing headlines is the arrival of the new C-HR crossover and a significant upgrade of the GT86 sports car. 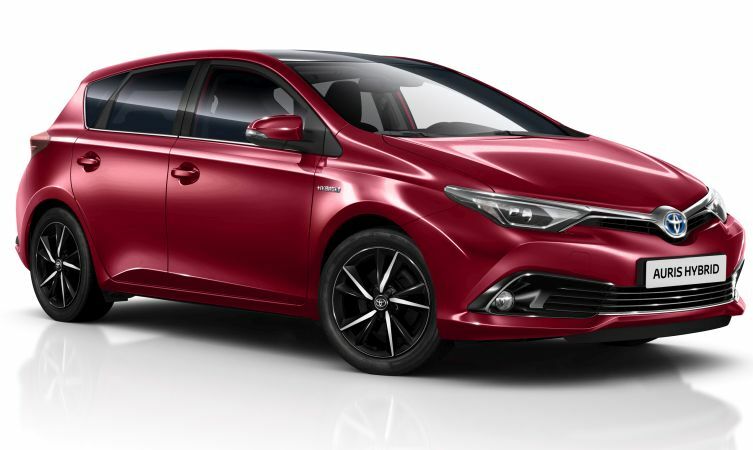 But improvements and alterations have also been applied to core Aygo, Yaris, Auris, Verso and Avensis models for the New Year. Highlights of the refreshments applied for each are listed below. 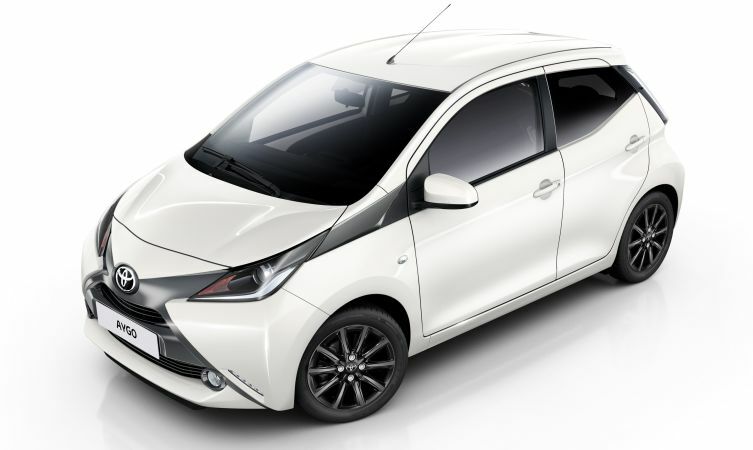 Two new grades – x-press and x-style – have been introduced to take advantage of Aygo’s extensive customisation options and create individual looks. The revised grade structure now consists of x, x-play, x-press, x-style, x-cite and x-clusiv. 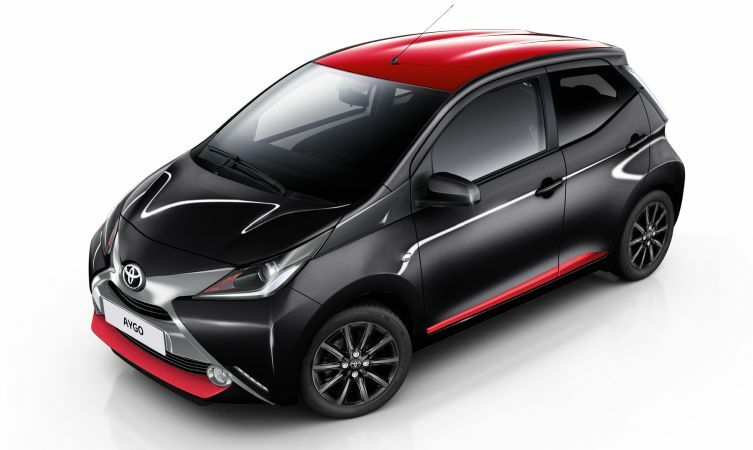 Red highlights identify the new Aygo x-press (above and lead image), featured in accents below the front bumper and rear diffuser, the side sills and in a full roof decal. The door handles and door mirror casings are colour-coded, and there are four body colours to choose from. Rear privacy glass and multi-spoke, machined-face 15-inch black alloys are additional exterior features. In the cabin the instrument panel is colour-coded to the body, while contrasting black trim surrounds the air vents, gear shift and centre console. Automatic air conditioning and dusk-sensing headlights are also specified within the x-press package, as is the x-touch multimedia system. 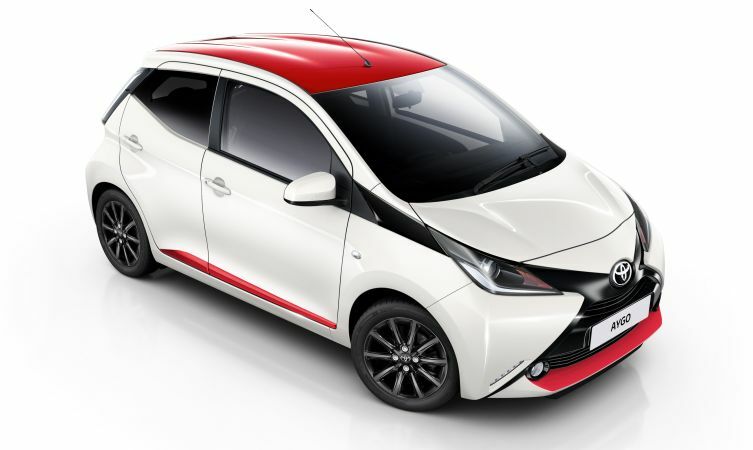 As the name suggests, the new Aygo x-style takes a more sleek approach, adopting a grey or silver front ‘X’, front pillar extensions and rear diffuser. Like the x-press, the door handles and door mirror casings are colour-coded, and rear privacy glass is specified. The 15-inch alloys come in either gloss black or machined-face finish depending on body colour. Inside, the x-style also adopts the same themes as x-press. 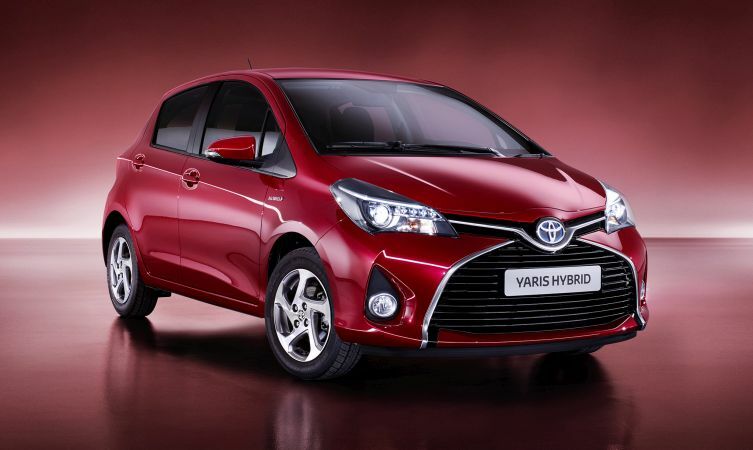 Yaris has long been Toyota’s top-selling model in the UK. For 2017, the best-selling Yaris line-up has been consolidated to three grades: Icon, Design and Excel. Each is available with either a hybrid, petrol or diesel powerplant. An additional focus has been placed on colour with the introduction of a new Tokyo Red paint option. This can be specified as an all-over colour (as above) or as a bi-tone scheme teamed with a contrasting metallic black finish for the roof, front pillars, upper front wing sections, door mirror casings, and the leading edge of the bonnet. 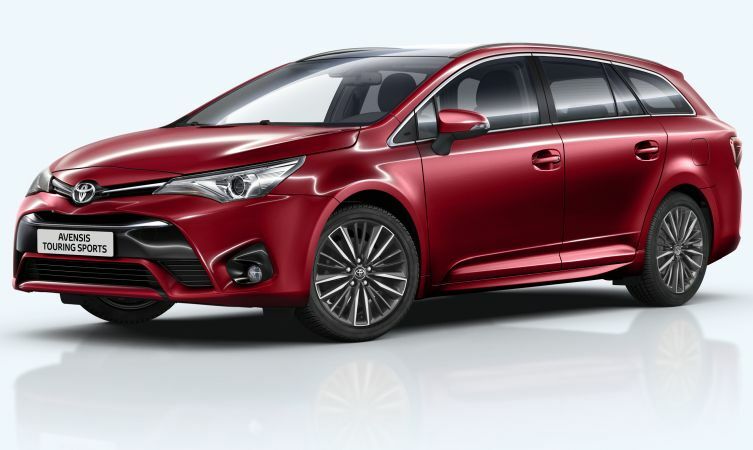 The Toyota Auris and Auris Touring Sports has taken an important step forward in safety with the addition of Toyota Safety Sense as standard on most versions. The only exception is the entry-level Active grade, where the safety suite is available as an option. Tokyo Red is a new exterior colour option, while Design grade is enhanced with new-design 17-inch, 10-spoke alloy wheels and Alcantara cabin trim. Rounding off the changes, Excel grade can now be specified with factory-fit leather seats. For 2017 the Verso line-up has been streamlined into three grades – Active, Icon and Design – all of which come with Toyota Safety Sense. As the new top-of-the-range model, Design grade is enhanced with new 17-inch black alloy wheels, privacy glass and a standard-fit panoramic sunroof. 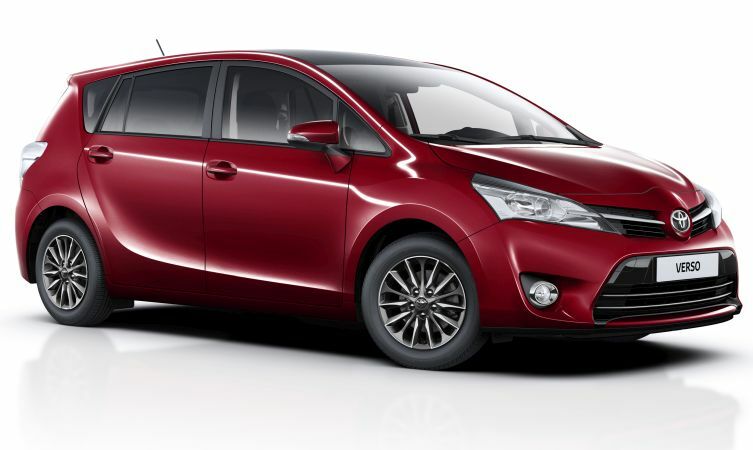 In the cabin, part-leather upholstery and the latest Toyota Touch 2 with Go multimedia system is now specified. A choice of two Valvematic petrol engines – 1.6- or 1.8-litre – or a 1.6-litre D-4D diesel is available. Mid-range Icon models now come with Smart Entry and push-button start, rain-sensing windscreen wipers, new seat trim and sunshades for the rear doors. The British-built saloon and Touring Sports wagon are now available in the hot new Tokyo Red colour scheme for 2017, together with a new 18-inch alloy wheel design sporting a machined-face finish. Thanks for getting in touch. If you could please provide a reg or VIN number, we will be able to assist further. Are you able to share when the Verso will be replaced? The current model has been sold since 2009, so it’s beyond the usual 6 year cycle we see from Toyota for its models. Thanks for getting in touch. At this moment in time, we have no information regarding the new model of Verso. As and when any information is released regarding this model we will inform our customers. Many thanks.